Foodies! 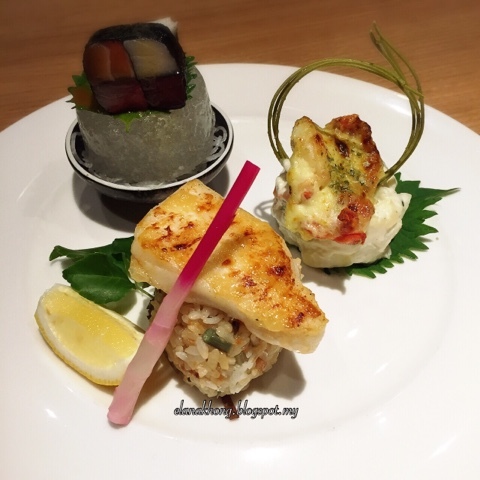 Say hello to the all new Genji Japanese Restaurant at Hilton, Petaling Jaya. 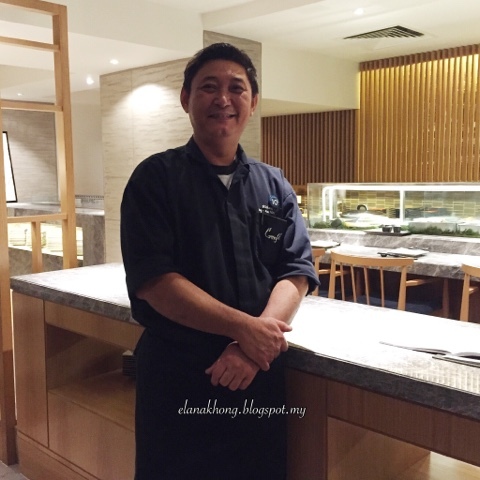 I was there recently to check out the revamped Japanese restaurant which is modern, spacious and elegant decorated. 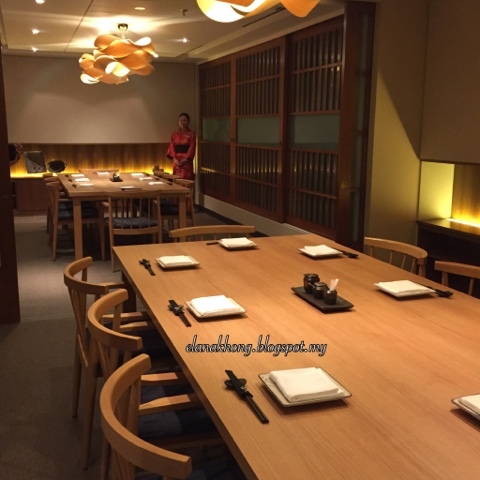 The highlight of the night is the amazing scrumptious ala carte Japanese cuisines. 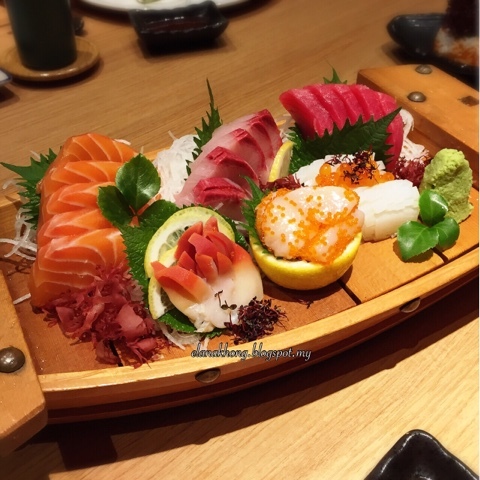 Fresh fish imported all the way from Japan (except salmon) be prepared to sink your teeth into the delicate texture, subtle flavours sashimi which is simply heavenly. Moyashi Salad with generous bean sprout, seaweed and Chinese spinach in Goma. 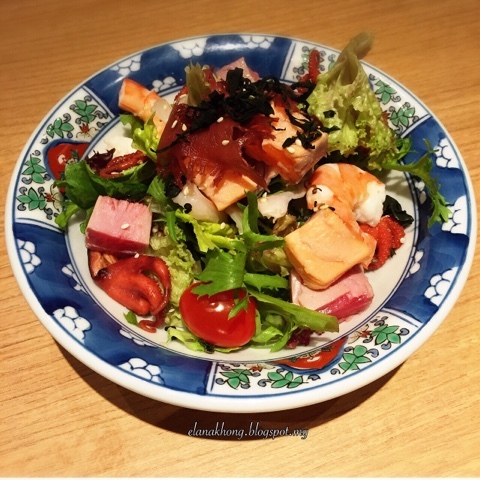 Not forgetting chunks of seared tuna, prawn and octopus this is not your ordinary green salad. 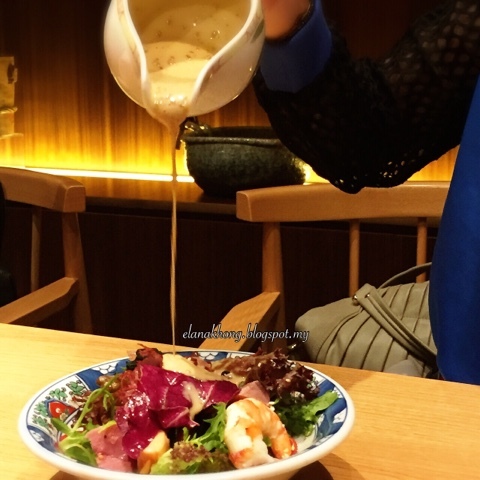 Feel free to drizzle it with as much sesame dressing as you like for a rich and flavourful salad. Shirao Wasabi- Wasabi marinated white baits. 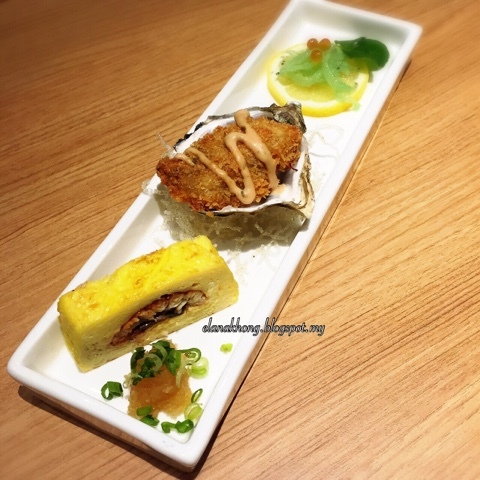 Kaki Tempura- Deep-fried plump and juicy oyster. 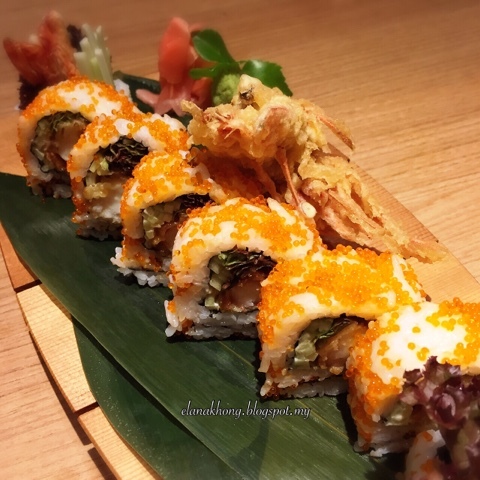 Unagi Tama– Deep-fried eel in savoury Japanese omelette. 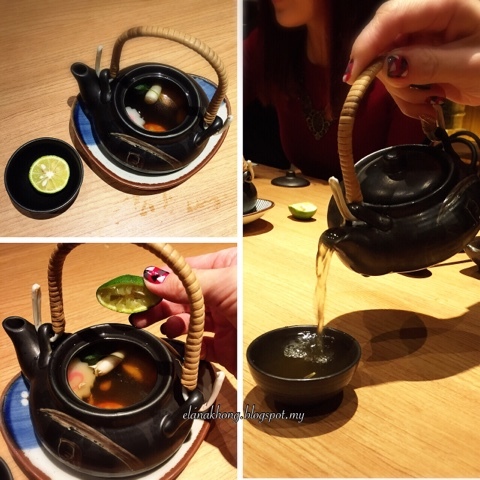 Soup (Dobin Mushi) - Single serving, served in a cute little teapot. Squeeze the lime into the pot for a clear and tangy piping hot soup. 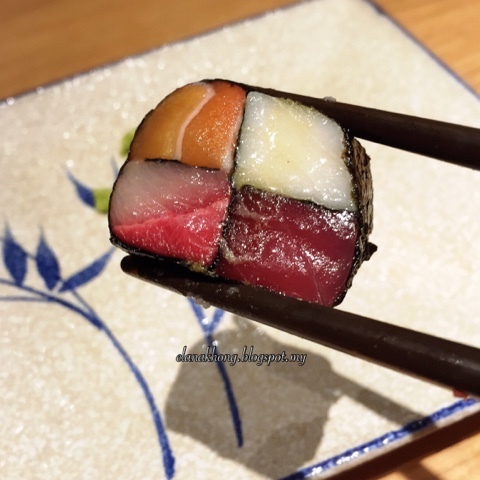 Sashimi of salmon, tuna and sea bream wrapped in seaweed. Succulent grilled tiger prawn with potato salad. 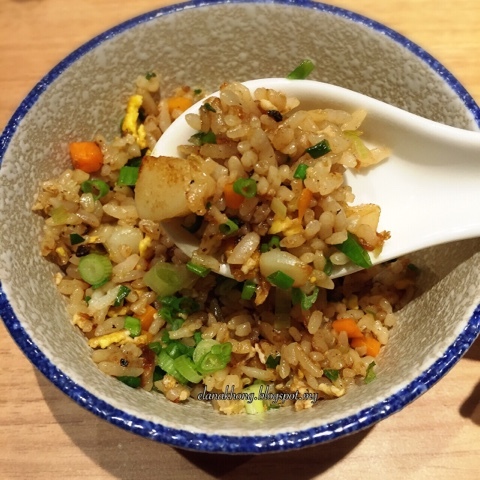 Grilled fresh cod with salt on a bed of fried rice. This is brilliant! Tastes heavenly and beautiful too. Reversed roll of succulent deep-fried tiger prawn tempura, topped with flying fish roe and crunchy and fresh cucumber and salad. 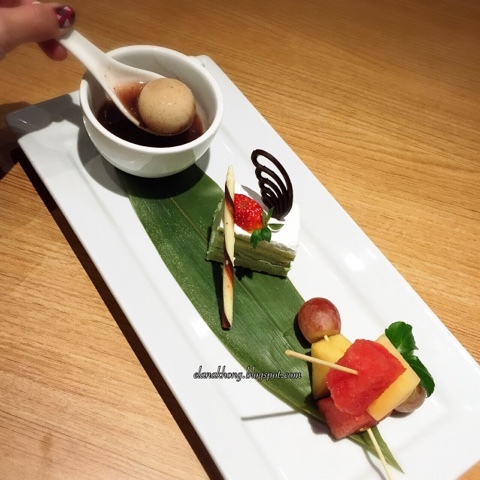 End the sumptuous dinner on a sweet note with the amazing Green Tea ice-cream Cake with Fresh Fruits and Mochi Hot Red Bean Soup. Thank you Chef Richard for the fantastic gastronomy delights. 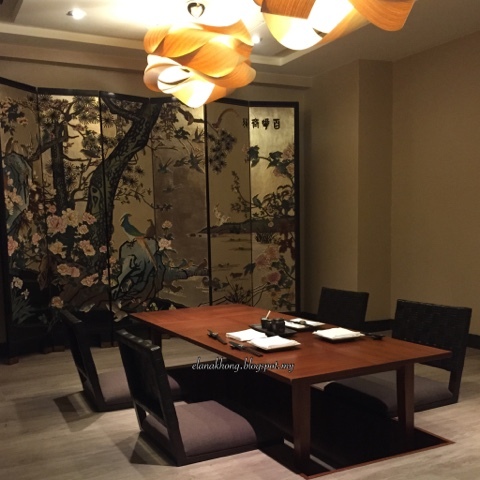 Elegant and spacious private dining rooms. 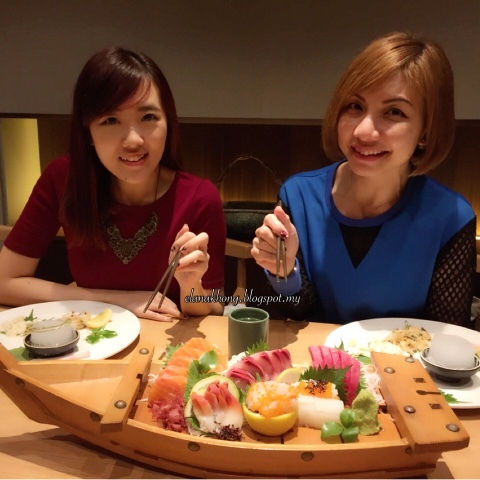 All in all, I had an awesome night with superb fresh sashimi, delicious and beautifully presented dishes. 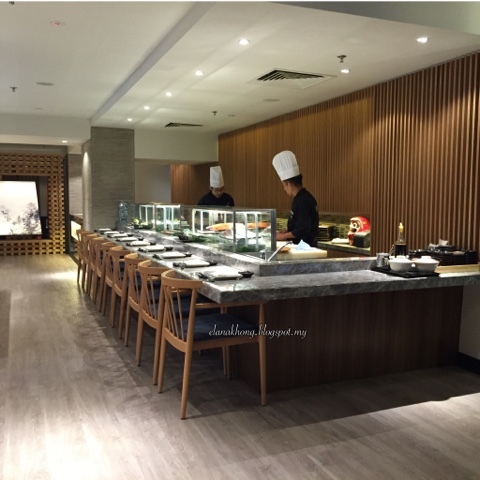 Do visit Genji for some fine and authentic Japanese cuisine experience.